Space Moguls is coming real soon to a C64 near you! Celebrating the 35th anniversary of M.U.L.E. this game is meant as an hommage to the classic strategy game. Prepare for a box full of goodies and gimmicks accompaining the manual and media. 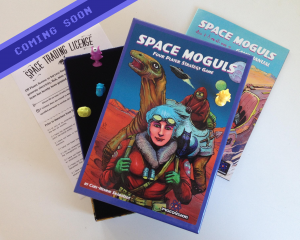 Space Moguls will be available in a disk, a cartridge or disk & cartridge version. More Infos about the Game: Click here!